Got a surprise in the mail today! A free pair of Armani Jeans thanks to the coordinators. I attended an Armani Jeans seminar a few week back and I was able to watch the fashion show of their new and upcoming merchandise. 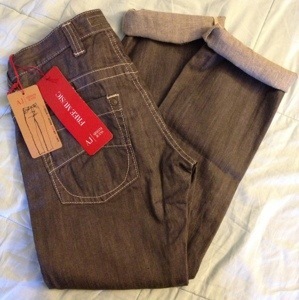 As a thank you, I receive this pair of jeans! You gotta love free stuff!